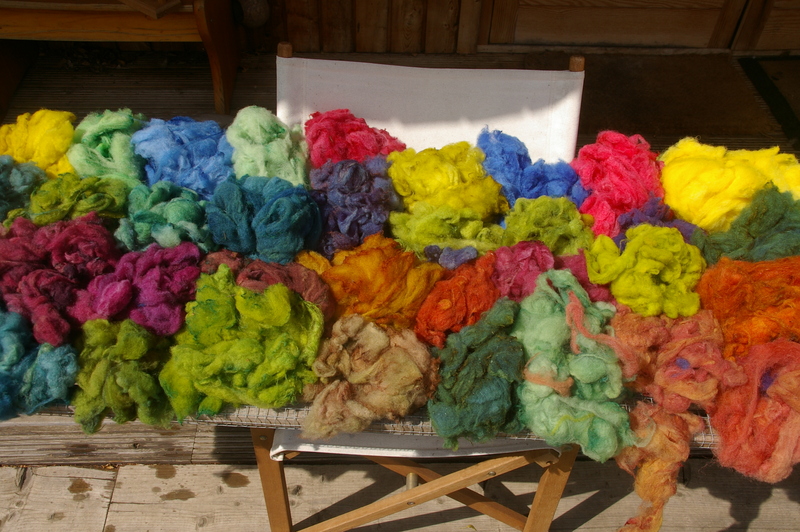 All these lovely colours have been created using the Dartmoor Dye Method which I first read about in Issue 23 (2011) of The Wheel magazine. This is Ashfords own fibrecraft publication and comes out once a year. 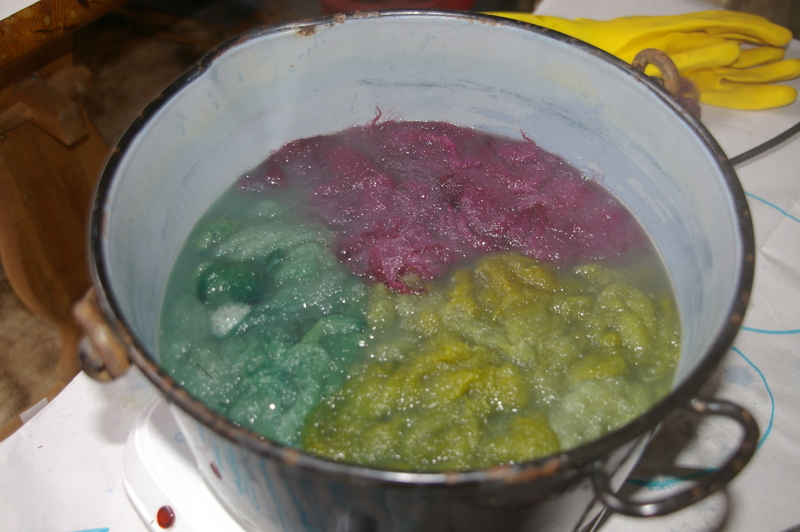 The dyeing method is really simple, you just need a large, unwashed fleece, about 4 kg in weight, four pots of dye in green, red, blue and yellow, four heat sources, 4 large pans and lots of time. The fleece is divided into three piles, then each of those piles is divided into four. 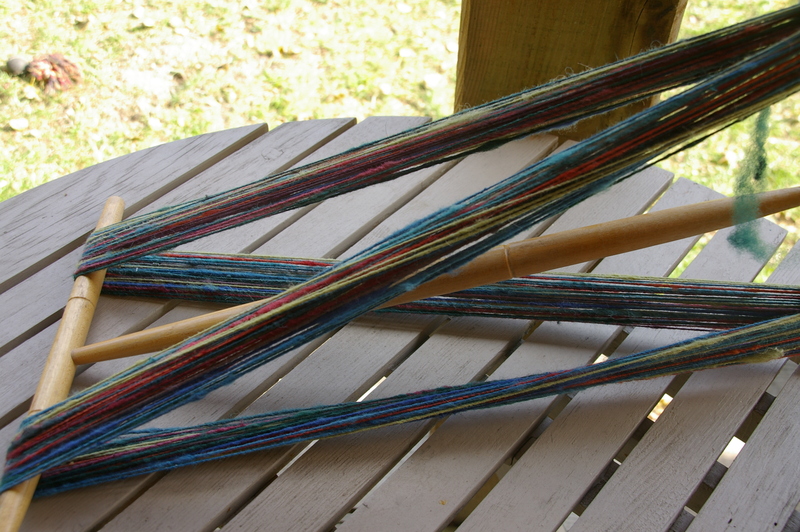 Those four piles are put into the four pots that contain one of the dye colours. 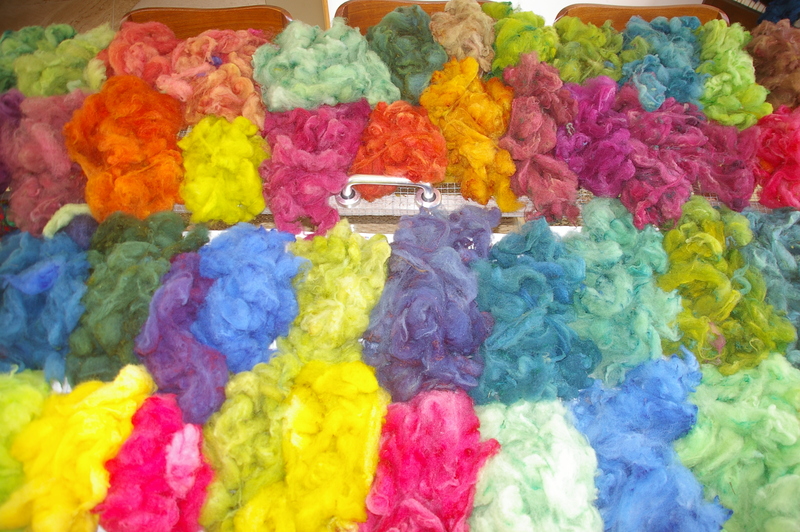 After 30 minutes cooking, the fleece is rinsed and then divided into four. One pile of the original colour is kept and the other three piles divided between the other colours! By now you may be very confused so do have a look on line as I have seen a copy of this on the web from June ’89! Here are some of the lovely shades of blue, pink and mauve that you get, which all go together. 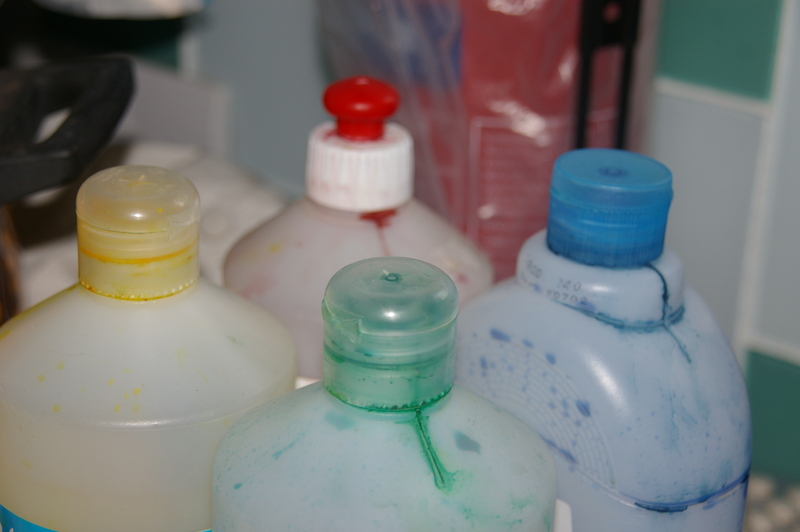 Make sure when you choose your dyes that the green is really green and not too turquoise otherwise it will give all the colours a rather blue dominance. We used acid dyes from DT Craft and Design.